What is an Instagram Completion Rate? It may sound weird but your Instagram completion rate is a number that you should have top of mind if you are super duper serious about your business growth. In today’s blog we’re going to show you exactly what it is and where you can find out what your current Instagram completion rate is. Ready to dive right into it? Let’s gooooo! Instagram Completion Rate – What is it? When it comes to Instagram Stories, you probably don’t always watch to the very end of an account’s stories unless they are flipp’n interesting, right? For example, I aaaalways skip a few Instagram Stories in particular that I know go on for ages without giving me any value. If you want to know how effective your content is you really need to have your hands on your completion rates for Instagram Stories so that you can improve your content strategy and keep your audience engaged to the very end. Unfortunately, not even Instagram tell you what your Instagram Stories completion rate is! 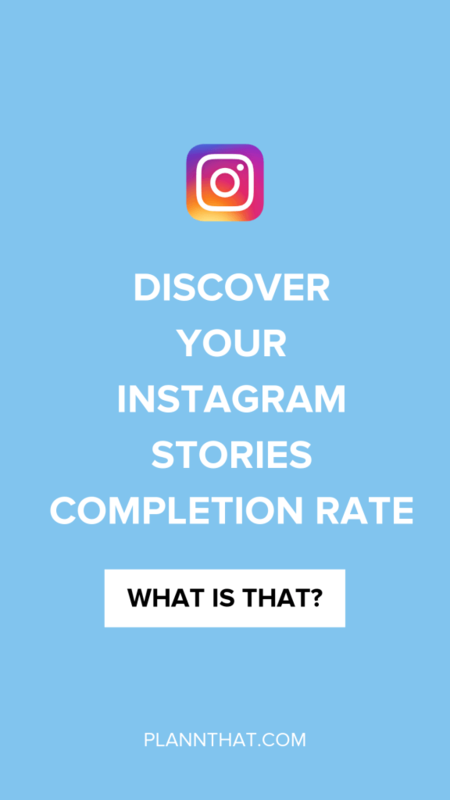 Soon we’ll be sharing what the average Instagram Stories completion rate is, keep an eye out for that in another blog! That way you’ll have an Instagram Stories completion rate benchmark to work off of. And yeah, that is still a lot of information that you can get out of Instagram insights, but your Instagram Stories completion rate? That is GOLDEN! If you have been slaving away on your Monday afternoons creating content for your stories, you sure as heck need to know if your audience are watching to the very end. That’s where Plann Desktop comes in! Instagram Completion Rate – How do you find it? At Plann we’ve worked out the magic formula for uncovering your Instagram Stories completion rate, and we share your results with you in our Plann Desktop results section! Right now, we’re the only Instagram scheduling and strategy tool offering this insight into your stories results. We have plenty more Instagram analytics hacks up our sleeves and we can’t wait to bring you more insights into how you can improve your content and profile to grow your business. Ready to get your hands on these juicy analytics? Click here to register for a free trial of Plann Desktop today.